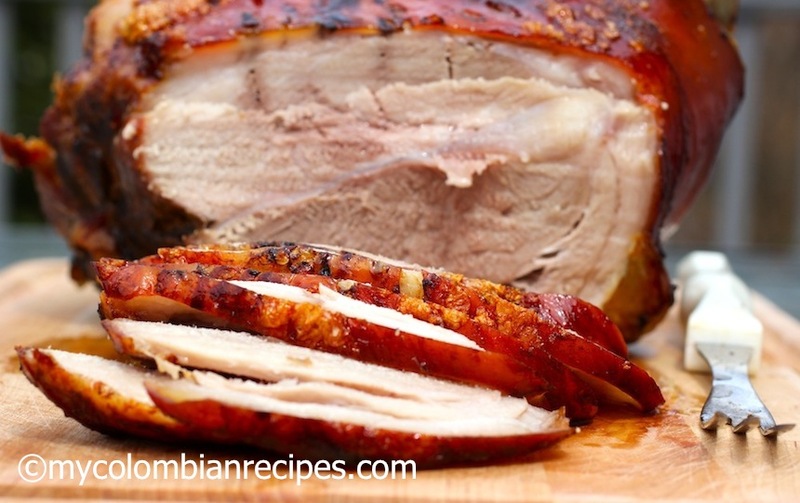 Colombian-Style Pernil Asado, is pork leg, marinated in a sauce made with beer, onion, garlic, scallions, red bell pepper, achiote, cumin, then slow roasted in the oven for several hours. This recipe is time consuming, as the pork leg needs to marinate for at least two days to enhance the flavor. However, if you don’t have the time, it is possible to marinate the pork just overnight. This is one dish that is definitely worth the wait! 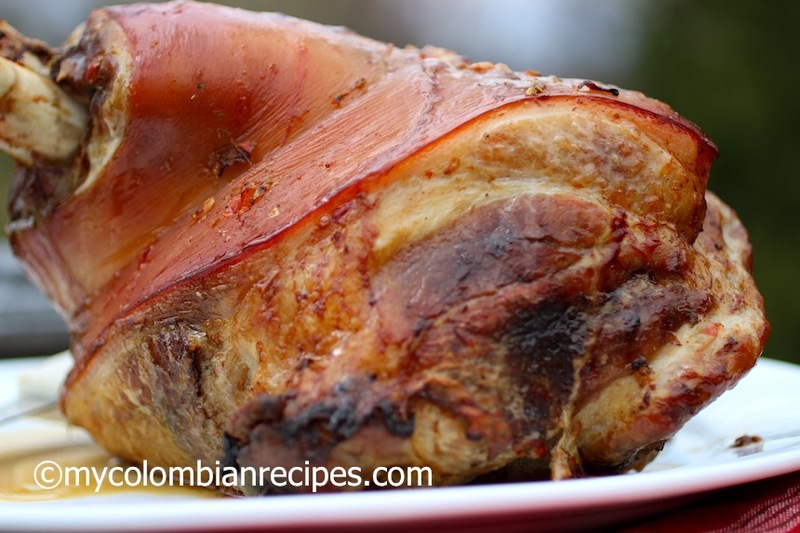 Pernil Asado is one of the most traditional and classic holiday dishes in Colombia and other Latin American countries, every country with its own version. It’s a popular dish to serve on Christmas Eve and at New Year’s Eve parties. 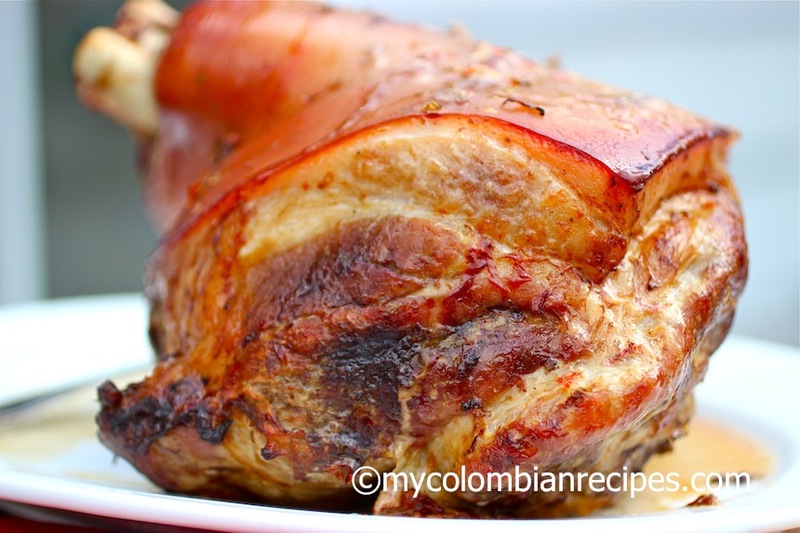 Colombian Pernil Asado is not only served during the holiday season, but is also popular at other celebrations such as Mother’s Day, Father’s Day, graduations, weddings, baptisms and birthday parties. This is a delicious celebratory dish full of flavor that suits all occasions and festivities and will be the star of your dinner table. The leftovers are even better the next day for making sandwiches! 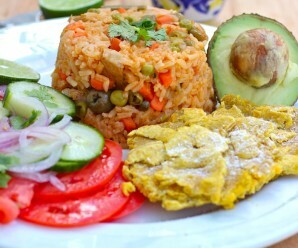 I like to serve this dish with ripe plantains (tajadas de maduro), potato salad (ensalada rusa), and rice with cola (arroz con coca-cola) on the side. 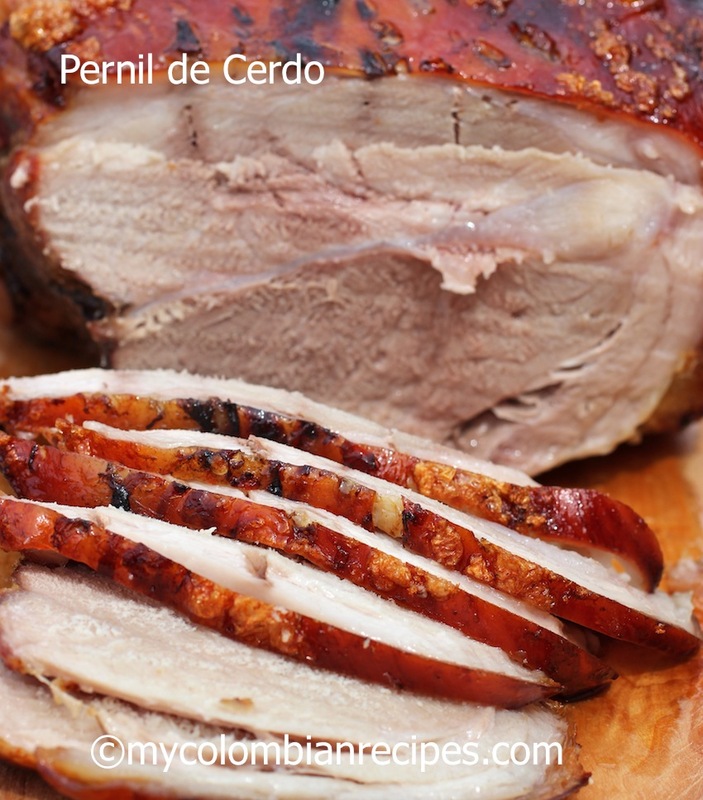 I hope you enjoy this pernil recipe as much as I do! Place pork in a large non-reactive roasting pan that fits in the fridge and your oven. 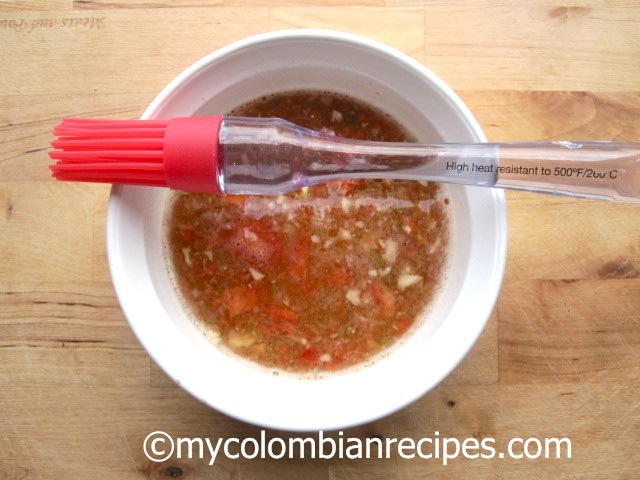 To make the marinade: Place the scallions, red bell pepper, onion, crushed garlic, ground cumin, vinegar, salt and pepper in the blender or food processor. Process until well combined. 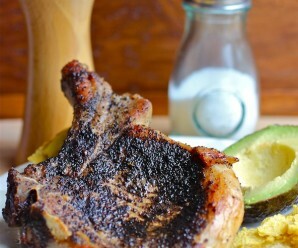 Make deep incisions on both sides of pork leg and rub the marinade all over the pork. Cover pan with plastic wrap and let marinate for 24 hours in the fridge. Pour the beer and ground achiote over the pork leg and let it marinate for another 24 hours, turning the leg every 8 hours. When ready to cook, remove from refrigerator and let sit at room temperature for 30 minutes. Pre-heat oven to 325F . Cover roasting pan tightly with foil and place in oven on lowest rack to bake for about 5 to 7 hours or until tender. To keep the pork leg from drying out you will need to bathe the pork leg with the pan sauces, using a soup ladle, about every 20 minutes. When the pork is tender remove foil from pan and let broil about 5 to 7 minutes, or until skin is crisp and crackling. That is just looks so ‘meataly’ luscious. Wow 2 days of marinating. It really looks amazing, wish I was at your family Sunday dinners. I’m drooling drooling over this!! Unfortunately, here in Spain, pork leg and shoulder joints are not easily found since they are usually used for making the delicious jamones ibericos. What we generally have to make do with is lomo. It is normal, if one buys from the butcher, to get pork steaks that are ¼ inch thick for flash frying (avoids heating up the kitchen too much when it is over 35° in the shade) but we like our steaks to be ½ – ¾ inch thick and juicy inside. Therefore I usually buy cinta de lomo, that is the complete de-boned loin, from which I will usually cut two or three roasting joints plus any number of pork steaks. Any trimmings get ground down to make sausages. The roasting joints are often cut into a spiral and stuffed with various home dried fruits (raisins, peaches, apricots, dates, prunes, apples, etc). I also cook them in the slow cooker in summer (again avoids heating up the kitchen). This week the stuffed and rolled joint will be cooked 8 hours in a mixture of honey, orange peel and fresh ginger with red-wine. Sounds like a great dish! Happy 4th! Is pork leg the same thing as the “picnic” which is the lower half of the shoulder? This sounds really good and the picnics are on sale right now. Thanks for that incredible page. To browse it took me back to my homeland and all the good memories for all those wonderful and warm festivities. It brought tears to my eyes…Wonderful and delicious recipies! Gracias! 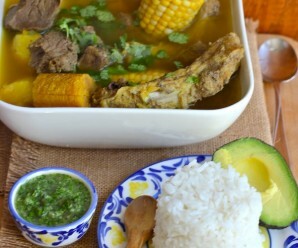 Tengo una reunion manana y pienso preparar este delicioso pernil. No tendre tiempo de adobar sino por 24h pero espero me quede igual de rico. Hola, gracias por tan rica receta, quería hacerle una pregunta y me gustaría tener una respuesta por favor, qué es el achiote? 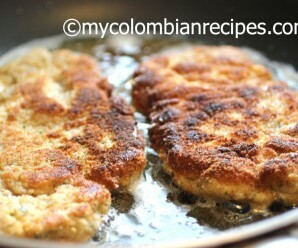 porque veo que es un ingrediente que ponen en muchas recetas y no he podido averiguar lo que es. Felices Navidades!!!! Este es el link con la información:https://www.mycolombianrecipes.com/achiote-oil-aceite-de-achiote, pero si no encuentras achiote puedes utilizar sazón con color. El achiote lo puedes encontrar en mercdos latinos en polvo o entero. YOU so much for the breadth of recipes, and please don’t stop! Can you use pork shoulder instead of leg?? Hola, yo tengo un convection oven y quisiera saber que temperatura uso y si uso broil, bake o roast para la receta de pernil asado. Gracias!